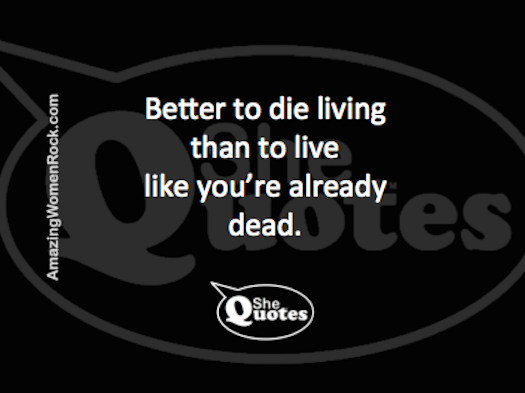 #SheQuotes on life and death. There’s no time like the present. You only live once. Life is short. Live for today, tomorrow may never come. The past has already happened, the future may or may not, we only have today. And all the other cliches that are so true. Live. Now. We have this moment and that’s it. Make the most of it. Do Stuff That Thrills & Excites You!